Social networking giant Facebook has launched several messaging features in the recent past. Now, it has rolled out a new feature which also accommodates the people who are not registered users. Facebook rooms feature is testing for a long time and finally made it debut in selected markets. 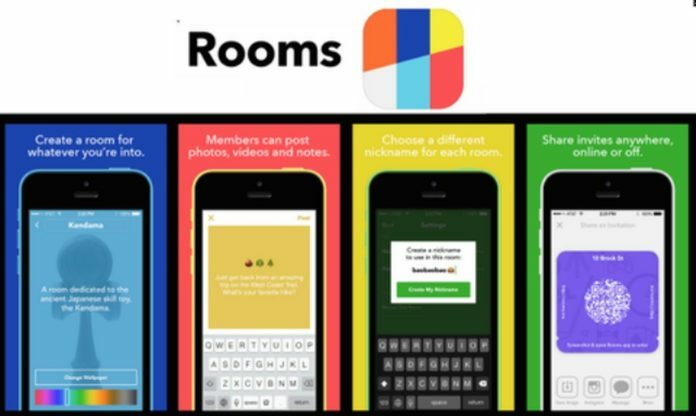 Facebook Rooms feature allows anyone from on or outside the platform to get involved in this topic based group chat. Rooms feature permits to have public conversations without disclosing any of your personal information. You can choose the particular subject of your choice which you wish to have a conversation about. Users can create their own Rooms through the Messenger app, invite members and approve new members. They can also set a nickname for themselves, organize notifications and more. Rooms will be available to a wider audience in Australia and Canada at first considering the English speaking user base. According to the reports, to Facebook’s explanation the feature is different from group chats as it is focused on chat about specific topics with people you may not know or people you may know. Usually, Group chats are only joined by family and friends you know. Users can set Rooms to private and allow those to join only when an administrator approves them. This could also help connect people around different subjects and discuss via messaging, instead of boring formal structure of a Facebook group. Facebook rooms feature could also be used for sending out alerts or organizing events. As of now, there is no info about the launch of this feature in India. Undoubtedly, the feature will make its presence in the rest of the world sooner. Facebook is busy in trailing more new messaging experiments with the goal of challenging Snapchat.